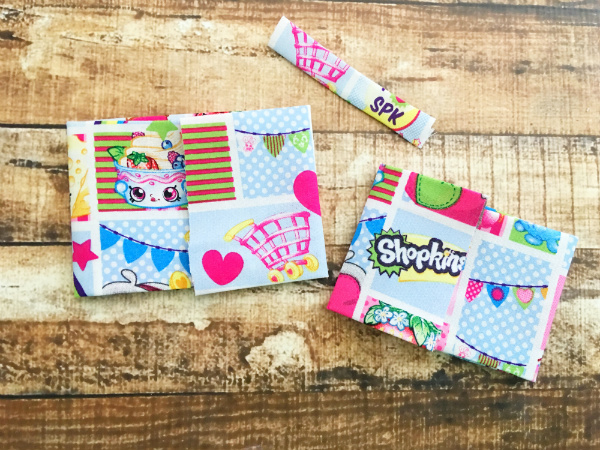 Does your little girl love Shopkins? 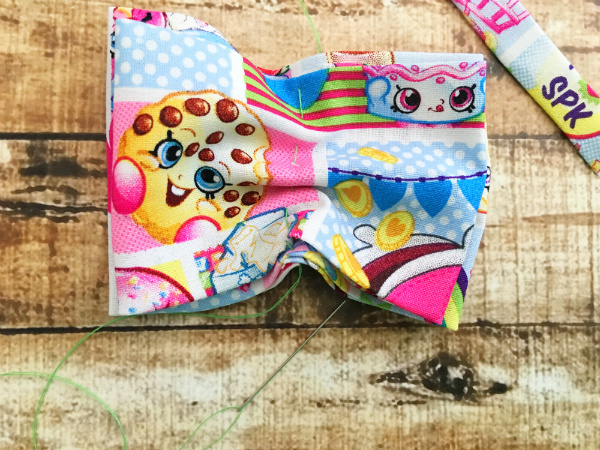 This tutorial shows you how to make a Shopkins headband with very little sewing. 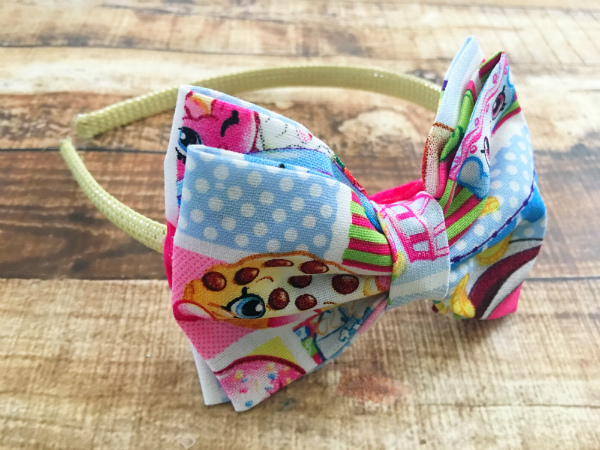 The headband would make a great gift and you can customize it with any fabric for holidays or special occasions (think 4th of July or Christmas), or you could use school colors. 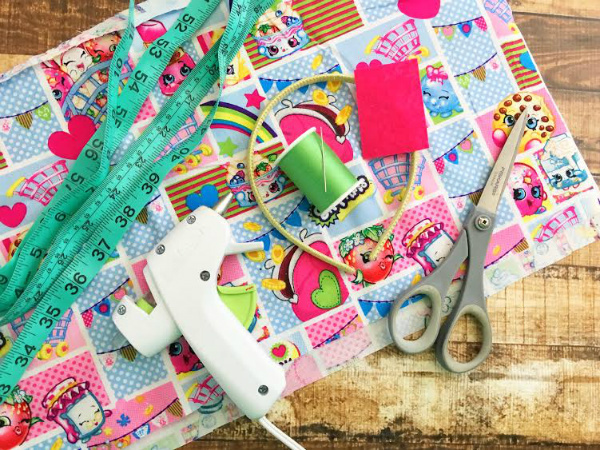 The sewing is so basic you could even have your child help you make it. 1. Iron the fabric and then cut out 3 pieces with these dimensions: 9 x 4 inches, 8 1/2 x 3 3/4 inches, 1 1/2 x 3 inches. 2. Fold over the 2 long sides of each piece about 1/2 inch and iron. 3. Fold the 2 small sides of your largest pieces into the center. 4. 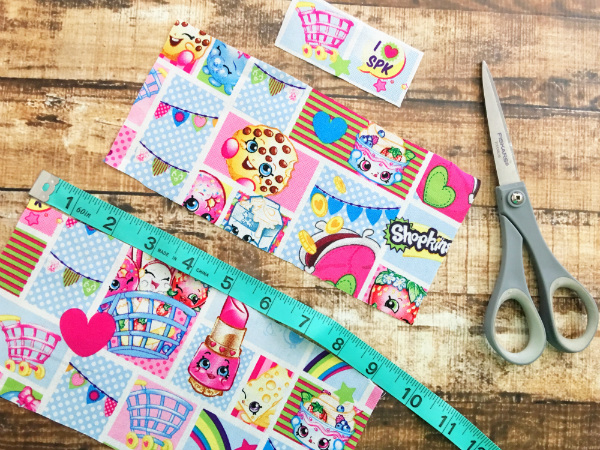 Now place the small rectangle on the large rectangle and sew a basic hand stitch down the center. 5. 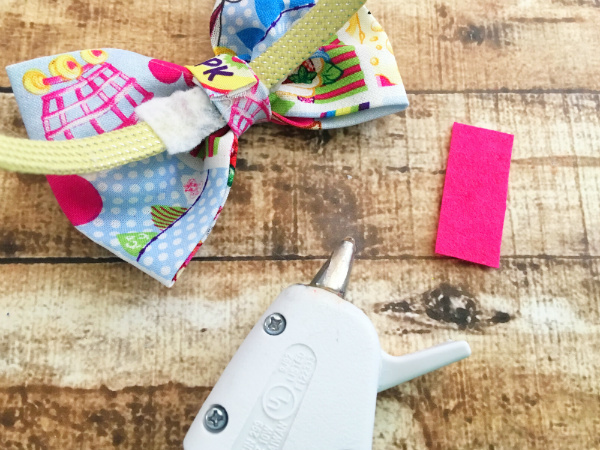 Pull your thread tight to create a bunch in the fabric and wrap the thread tightly around the center to create a bow. 6. 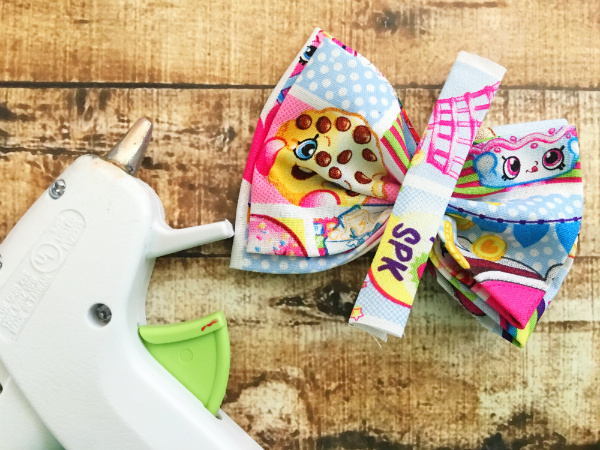 Now hot glue the center of your small piece of fabric to the center of your bow. 7. 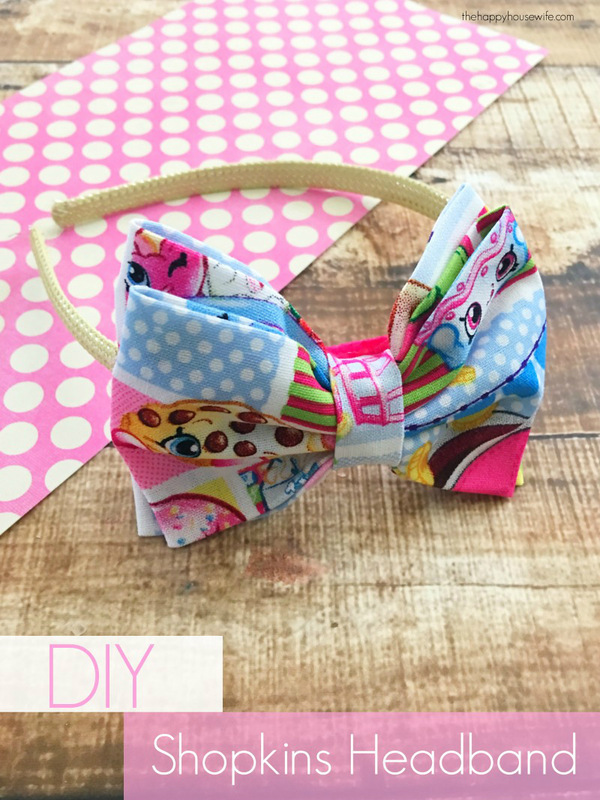 Place your bow onto the headband and hot glue the long sides of the middle of your bow around the headband. 8. Cut off any excess and glue a small piece of felt onto the bottom of the bow. 9. 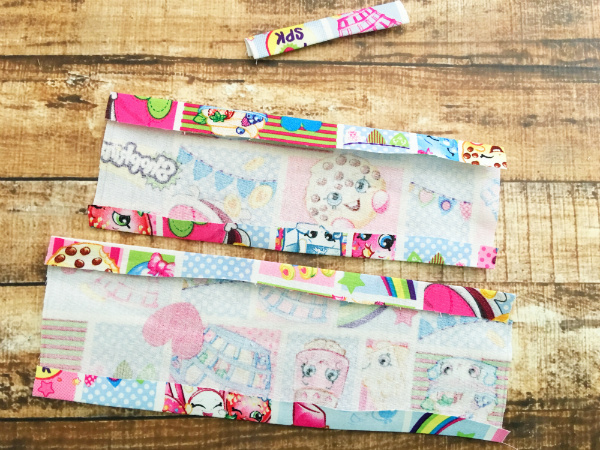 To complete your headband, glue the undersides of the bow onto your headband.